Fresh mittens, with thumbs this time! 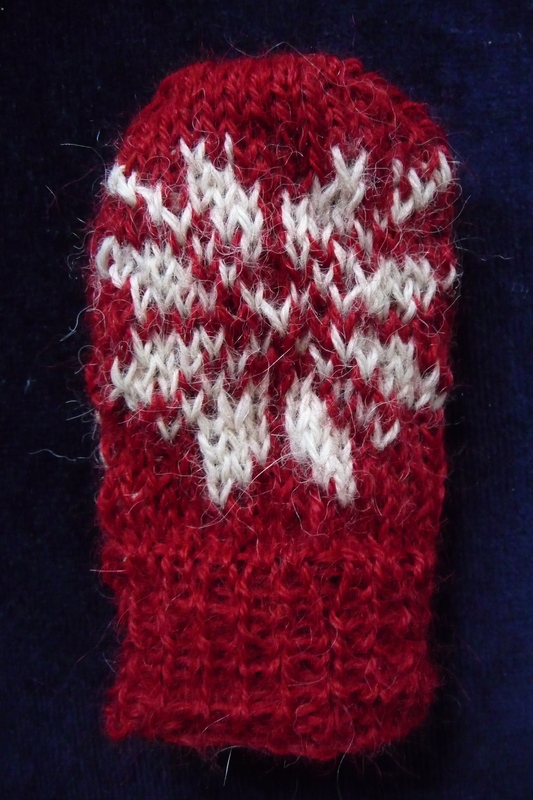 I used the ‘Snowflakes’ pattern from Lesley Anne Price’s Kids Knits, in 4ply alpaca wool. 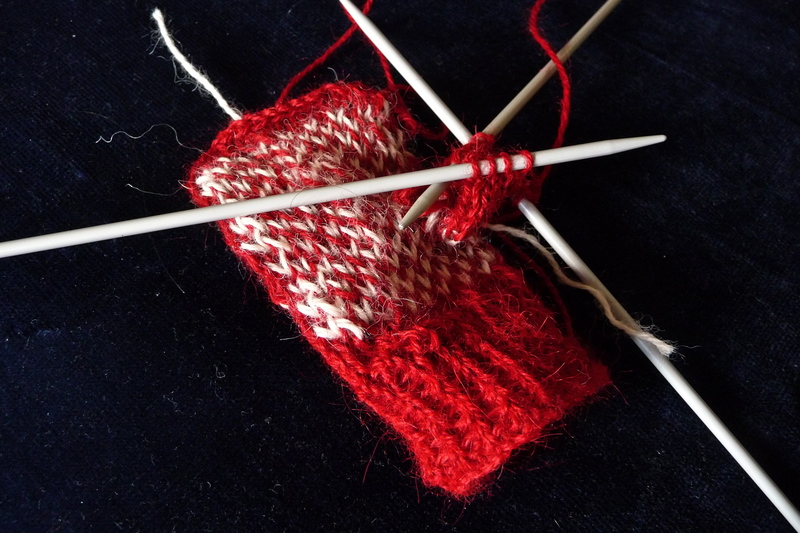 I haven’t had much experience with colourwork, so knitting these in the round were a bit of a challenge. 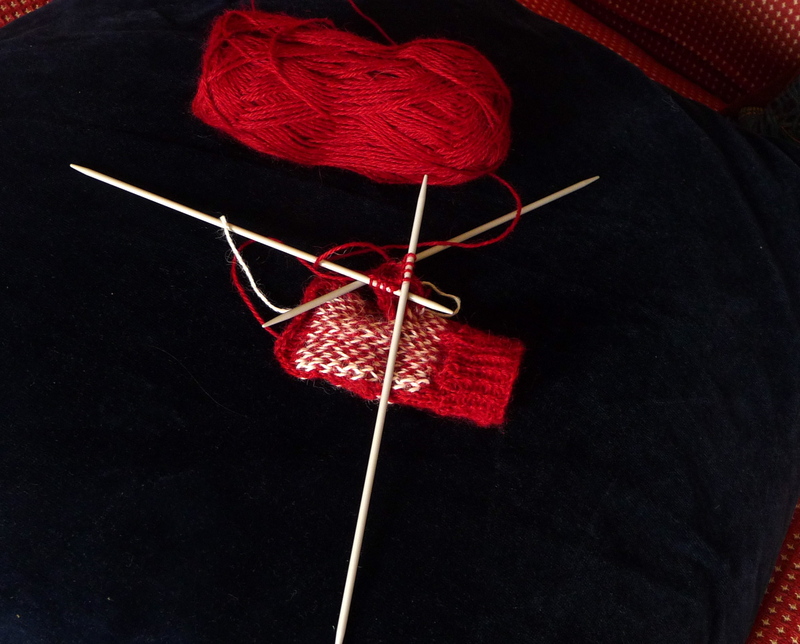 If anyone has any tips on working with more than one colour in the round (for example, how do you strand the yarn on the ends of the needles evenly? ), I would love to know them. 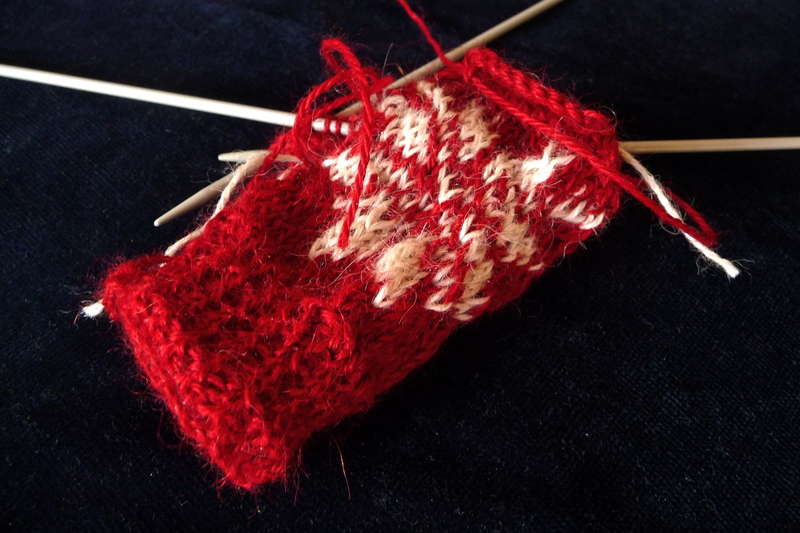 Knitting the thumb, front and back. 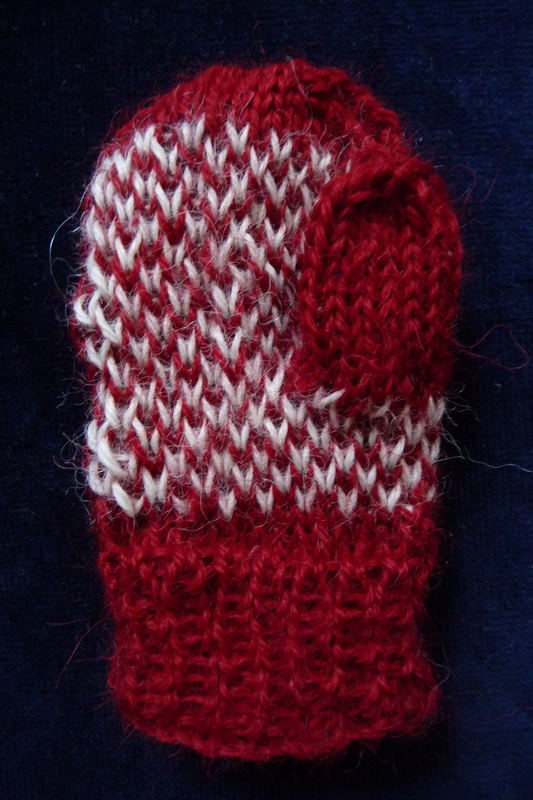 The finished mitten, front and back.